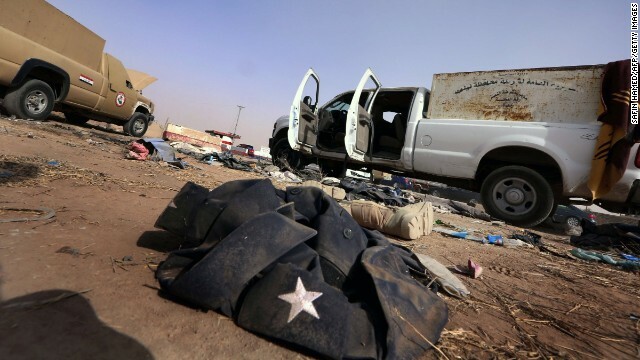 Just a day after overunning Mosul, Iraq's second-largest city, militants from the al Qaeda splinter group the Islamic State in Iraq and Syria (ISIS) gained nearly complete control of the northern city of Tikrit. 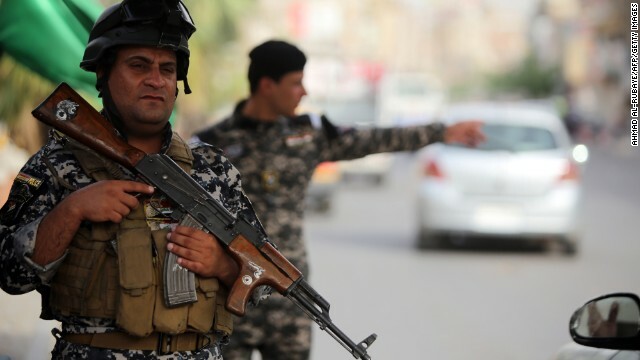 How should the Iraqi government and United States respond? And what are their chances for success? Leading analysts offer their take on what to look for. The views expressed are their own. The astonishing advances of the Islamic State in Iraq and Syria (ISIS) across parts of northern and central Iraq has reignited a debate about what the Obama administration should do in Iraq and Syria. For now, the centerpiece of the struggle is sharply focused on how Iraq’s government responds and how countries in the region react. The first key question is how Iraq’s government, led by Prime Minister Nuri al-Maliki, responds to this assault. Al-Maliki, a leader from a Shia party who has led Iraq for the past eight years, has been accused by his opponents of becoming increasingly authoritarian and not inclusive when it comes to reaching out to people in the Sunni minority community. Some have gone so far to say that his neglect of the Sunnis created the opening for extremist groups like ISIS to achieve the rapid gains over the past few days. If al-Maliki can put together a cohesive response that cuts across the Shia-Sunni sectarian divide and the Arab-Kurd split, this would go a long way toward building a more stable political foundation to address Iraq’s dangerous security problems. These events come just as Iraqi leaders are negotiating a new governing coalition after national elections on April 30. But what could a long-term solution look like? Didem Akyel Collinsworth, Turkey and Cyprus analyst for International Crisis Group's Turkey/Cyprus Project, answers readers’ questions on the issue. What are the conditions like for Syrian refugees? 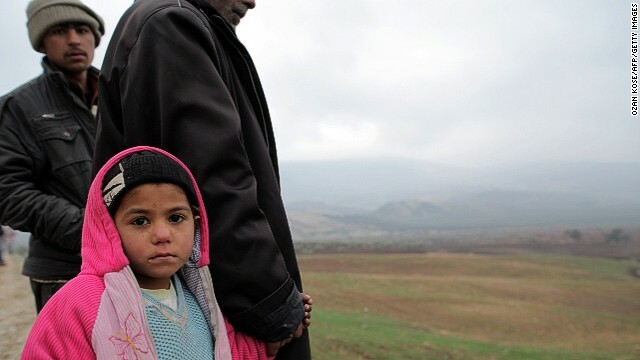 According to official numbers, Turkey has already received nearly one third of all the Syrian refugees in the region. 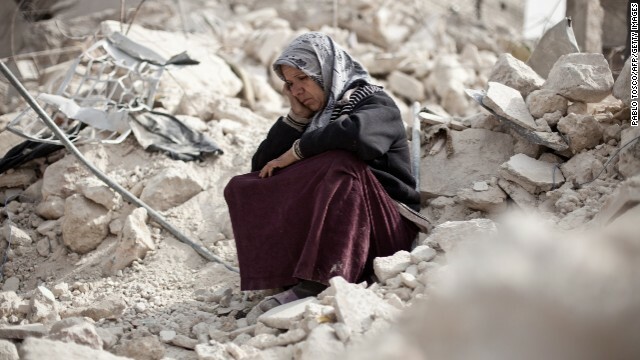 Around 220,000 of these 720,000 people are in 22 refugee camps in Turkey. The camps have high standards compared to similar shelters around the world; some international experts refer to them as the world’s best refugee camps. In addition to food and shelter, they provide healthcare, schools and other types of assistance. Nonetheless, they are an emergency response, expensive to build and run, and simply not enough to host the continuous inflow. Most of the new arrivals therefore add to a growing “urban Syrian” population inside Turkey; these are officially around 500,000 but unofficial estimates reach one million. Some of them have the means to support themselves financially but most are destitute and in need of assistance. There are ad-hoc efforts by Turkey’s government and other countries as well as several international and local agencies and NGOs to help them, but these are currently not enough. In the southeastern Turkish provinces along the border, Syrians have a hard time finding accommodation and access to sustained aid. In February, we met new arrivals who had fled the barrel bombings in Aleppo and who were now living out in the open in makeshift tents in Turkey’s border Kilis Province because they couldn’t afford or find housing. Even for people with accommodation, conditions are difficult – we talked to a group of around 20 people living in a bare, one-bedroom apartment with no furniture or heating. What next for Turkey's Syrian refugees? But what could a long-term solution look like? And how effective has Turkey’s response been? Didem Akyel Collinsworth, Turkey and Cyprus analyst for International Crisis Group's Turkey/Cyprus Project, will be taking readers’ questions on the issue. For more background, watch ICG in the field here. Please leave your questions in the comment section below. Editor’s note:David Schenker is the Aufzien Fellow and director of the Program on Arab Politics at the Washington Institute for Near East Policy. The views expressed are his own. The self-immolation of a Syrian refugee in Lebanon last month is a harrowing reminder of the desperate circumstances of those who have fled the war. But the hardship extends beyond just Syrians. Today, Lebanon and Jordan provide sanctuary to one million and some 600,000 Syrian refugees, respectively – about 20 and 10 percent of their respective populations – and the social and economic stresses are taking a heavy toll. Worse, the prospect that many of these refugees might never return home threatens the long-term stability of these states. This month marks William Shakespeare's 450th birthday, and people around the world are celebrating – from Stratfordians to Syrians. Yes, Syrians. One hundred Syrian children have just performed an adaptation of King Lear…in one of the world's largest refugee camps. Located in Jordan, the Zaatari camp is home to over 100,000 Syrian refugees, over half of whom are under the age of 18. Many of the children are not educated and have never read or seen any of Shakespeare's work. But they are no strangers, of course, to the tragedy of the human condition. And this particular play – a story of exile, a ruler losing grip with reality, a land divided by rival groups, a tale of human cruelty – seems especially relevant. While a refugee camp may seem like the unlikeliest of places to discover Shakespeare, the playwright himself might not have thought so. After all, mentioning faraway places was common in his plays. In both Macbeth and Othello, in fact, Shakespeare mentions the Syrian city of Aleppo. Another reminder that Syria is one of the oldest centers of human civilization – which makes the current violence there seem even more tragic. Editor’s note: Faysal Itani is a resident fellow at the Atlantic Council’s Rafik Hariri Center for the Middle East. The views expressed are the writer’s own. Three years into Syria’s civil war, the United States has demanded the regime shut down its U.S. embassy. But this month’s long overdue gesture is just the latest low-cost substitute for a meaningful U.S. policy in Syria, and is symptomatic of the U.S. approach to Syria’s tragedy, which prioritizes diplomatic posturing over engaging with realities on the ground. 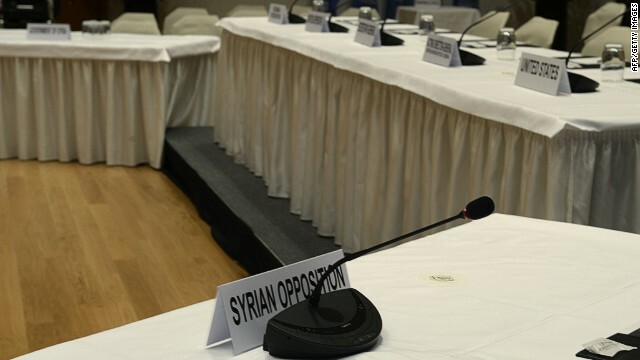 Indeed, as the United States focuses on international summits such as the recent Geneva II conference, it is ignoring the nature of the opposition in Syria itself. Early last year, Syrian rebels captured the northern city of Raqqa. After bickering with local councils over how to run the province, the U.S.-backed opposition coalition in exile (the Etilaf) named Abdullah Khalil, a human rights lawyer, to head an interim authority. On May 19, 2013, masked men reportedly kidnapped Khalil, and he has not been heard from since. 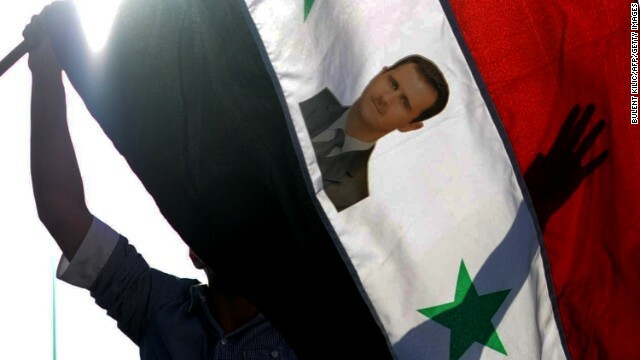 His disappearance shows how the opposition, backed by the United States and its allies, has failed to build on its early successes in liberated territory, allowing the regime to survive. The ongoing crisis in Ukraine has captured the attention of the world, including the Middle East, where many see parallels between the struggle for democracy in Kiev and their own countries. But the unrest in Ukraine has a particularly special meaning for Syria, where peaceful protests against Bashar al-Assad eventually turned violent in the absence of Western support. Ukrainian protesters in Kiev last month, for their part, flew the Syrian revolutionary flag alongside the Ukrainian flag. The big question, though, is whether the West will see the connections that the protesters see – and draw some vital lessons. From the U.S.-Russia reset, to Syria, to Iran, there has been ample opportunity for Russian President Vladimir Putin to perceive weakness from the West. And in the absence of decisive Western leadership, the post-Soviet space and the Middle East have seen a resurgent Russia, under Putin’s leadership, work to create what amounts to a Soviet Union 2.0, propping up authoritarian regimes, creating areas of influence, and stifling freedom and democracy. Such moves have prompted some analysts to note what they see as a revival of the Cold War struggle between Russia and the U.S., whether it be the ongoing crisis in Ukraine or the Middle East/North Africa region. Editor’s note: Nader Hashemi is director of the Center for Middle East Studies at the Josef Korbel School of International Studies at the University of Denver. His latest book is The Syria Dilemma. The views expressed are his own. 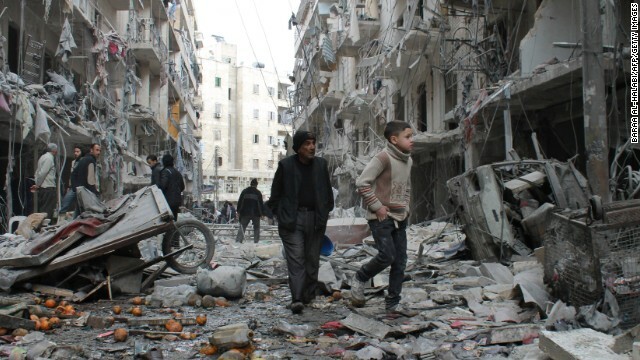 But a new dimension to this conflict has emerged: Syria is now a global security problem. The Syrian conflict is destabilizing the Middle East. Lebanon has been convulsed, Iraq has been shaken and Jordan’s fourth largest city today is a Syrian refugee camp. 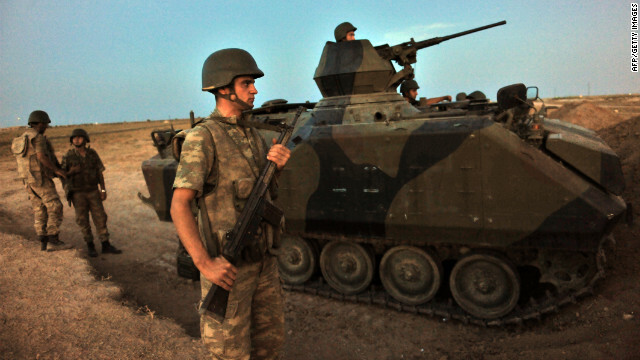 To a lesser extent, Turkey has also been adversely affected – some 600,000 refugees are said to be currently living on the Turkish-Syrian border, and Turkey’s role in the conflict has become a major bone of contention in domestic Turkish politics. Editor’s note: Bessma Momani is a professor at the University of Waterloo and Balsillie School of International Affairs, and senior fellow at the Centre for International Governance Innovation and the Brookings Institution. The views expressed are the writers’ own. Simply put: Syrian government, bad. Syrian people, good. For Westerners, moral clarity for a conflict zone is necessary. Like a Lonely Planet guide book to “the other,” we want mental shortcuts. “Just tell me who the good guys are in this fight,” is the perennial request that political analysts are asked. It’s not that easy, and our Western palate may not like the dish being offered. Make no mistake, the Syrian regime has blood on its hands as it continues to ruthlessly suppress its people. Generations of Syrians will remember the Assad family for the years of death and destruction it has caused on its people. Editor’s note: Barry M. Blechman is a distinguished fellow at the Stimson Center, a nonprofit and nonpartisan international security think tank. The views expressed are his own. 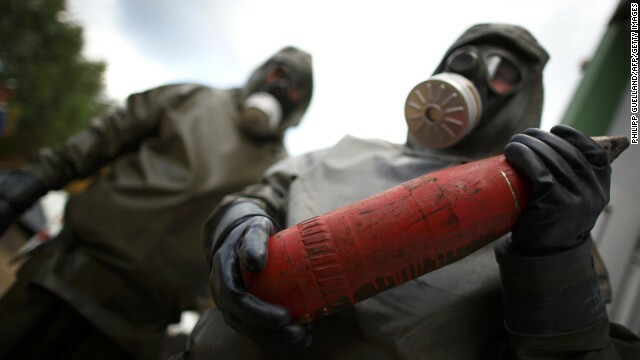 The world will be a safer place if the surprising agreement that led to the promised destruction of Syria’s stockpile of deadly chemical weapons can pave the way for the banning of such weapons from the entire Middle East and eventually the world. The next move is up to Israel and Egypt. Syrian President Bashar al-Assad surprised the world in September when he agreed to sign the Chemical Weapons Convention barring the use of such weapons and to permit the supervised destruction of all his chemical weapon stocks. The move was designed to halt an expected U.S. bombing campaign against his country after al-Assad used chemical weapons against his own people in the Syrian civil war.